Brand launch is all about introducing your brand or re-branding to the market, and brand launch video is most appropriate manner to reach maximum audience in this digital age. It gives your company the opportunity to explore new markets. Make your presence known to the marketplace and world with a brand launch video. A brand launch is a process of introducing and launching a company’s brand in the market that makes a lasting impact on its audience. Also, a brand launch refers to the re-branding process that helps change the corporate image of a company in the general public and business world. Hopewell real estate services is a full service third-party commercial property management company. In addition to their core businesses, it also provide merchant banking support for a variety of investments in public and private companies. The Hopewell brand launch video introduce the vision of the brand to their employees and get them excited about the future of the company. Beetroot is an IT company from Sweden with offices around the world. 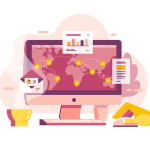 It specializes in building teams of developers and designers from Ukraine, for emerging tech companies and successful start-ups looking to sustainably scale their businesses. Their services are design, copywriting and content provision across the full range of channels from magazines, brochures and reports to websites, apps and messaging and everything in between. The brand launch video shows how Beetroot create experience-based design solutions to help brands grow bigger. The zigbee alliance recently introduced dotdot, a universal language for Internet-of-Things, that works on application layer to enable communication across different networking technologies. It can be seen as an extension of the zigbee Cluster Library specification used to issue commands across zigbee 3.0’s interoperable application layer. Dotdot makes smart homes and businesses work for everyone. The brand reveal video introducing their dotdot mark and explain how it all works. The Deloitte Greenhouse is an advanced, immersive environment designed to accelerate breakthroughs. It combines behavioral methods, analytics, technology and experienced facilitation to create an experience that can bring about extraordinary results for clients. It is designed as a place for cultivation of ideas, of relationships and of opportunities. The Deloitte Greenhouse brand reveal video convey the concepts of innovation, analytics and strategy in an engaging way. Kukun is the Expedia of Home Remodeling. They thread the four industries that make remodeling possible for the customer. It solves the fragmentation and frustration associated with home renovation by providing cutting-edge opportunities and tools in our marketplace for the consumer as well as the real estate, loan, construction and retail industries. The brand launch video shows how Kukun helps homeowners navigate the remodeling process. Tata Motors is one of the leading Automotive manufacturers company. Its products include passenger cars, trucks, vans, coaches, buses, sports cars, construction equipment and military vehicles. It provides the best vehicles and experiences that excite their customers globally. Tata Motors’s brand launch video showcase its sleek, exciting and energetic product. Ripple’s distributed financial technology enables banks to send real-time international payments across networks. They help banks meet growing demands for faster, low-cost, on-demand global payment services for any payment size. Their vision is to enable the Internet of Value so the world can move value the way it moves information today as highlighted in the brand reveal video. Project Sunroof utilizes data that is on Google Maps to make sense of how much sun falls on a rooftop and considers stuff like the point of the rooftop, the climate, and checks like trees and fireplaces. At that point it utilizes those estimations to make sense of what number of boards you’d most likely need and the amount you could save money on your electric bill, incorporating sun-powered motivators in your general vicinity. 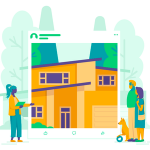 You can perceive how purchasing or renting boards influences your investment funds, and afterward send your gauge to installers in your general vicinity, in a split second. The brand reveal video indicates how Project Sunroof is mapping the planet’s sunlight based potential, one housetop at any given moment. PerkinElmer helps scientists, clinicians and lab professionals accelerate their science through its innovative detection, imaging, services, and informatics. They are focused in the business areas of human and environmental health. They provide solutions in the areas of Diagnostics and Life Sciences. The brand launch video educates about their Risk-Based Monitoring approach to their clinical trial operations. Next Glass offers solution to preserve wine tastes predicament by joining fantastic science and innovation to uproot the present arrangement of uncertain appraisals and surveys. Presently you can unhesitatingly buy wine at an eatery or market with Next Glass area mindful application, which contrast your profile with a rundown of accessible wines for an easy and consistent choice, as shown in the brand launch video. Making the complex, simple. TIMG (The Information Management Group) is making some changes in its portfolio to accommodate the new technology into its business and with it, it’s taking on a new face. TIMG provides all the information management solutions needed with the efficiency of technology and expertise of its people. Its new line of thought is defined in its brand reveal video. Virgin Hotels provide something new, fresh and meaningful to the consumer. It has re-invented the upper class flight experience, created award winning clubhouses, developed superior entertainment systems and built a reputation for brilliant service. The Virgin Group has interests in transportation & aviation, telecommunications, financial services, leisure & hospitality, and music. The Virgin brand reveal video illustrates their new services and amenities to match their modern, contemporary looks. Flock is a multilingual team messaging app & online collaboration platform. It comes with video conferencing, screen & file sharing and other great features that improve productivity and boost the speed of execution. The brand launch video describes how the Flock app makes team collaboration easy & quick. Stay in touch with your team anytime and anywhere with U&Me Plus enterprise communication app. 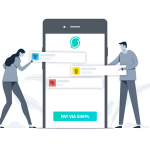 It’s encrypted messaging platform keeps communications safe, improves workflows, and facilitates rich-media push messages to enterprise work-groups. Experience a better communication with U&Me plus as described in brand launch video. Abcott Financial Services is a Queensland based company. It’s professionals have been involved with many financial administrations functions. It offers a straightforward and direct process for their customers guaranteeing clients goals are met, whether it be building home or acquiring equipment for business. The brand reveal video shows different items and administrations offered by Abcott Financial Services. Amendo is a new home for creative and thoughtful content on relationships, career, community, spirituality, and living a meaningful life for people in their 20s. At Amendo, users are interested in how to reconnect life and spirit. The idea behind Amendo brand reveal video was to create a place where millennials could have discussions about the connections between spirituality and daily life without all the stigmas. Mitie‘s facility management services works with you as a fellow traveller towards the end of the road. Providing assistance when needed, anticipating the problems and being ready with the solution. As Mitie’s brand launch video suggests, it goes further beyond facility management, it’s connected workspace. Healthfirst is a supplier supported health insurance company that serves individuals in downstate New York. It offers best quality Medicaid, Medicare Advantage, Child Health Plus and Managed Long Term Care arranges. It additionally offers Healthfirst Pro and Pro Plus, Exclusive Provider Organization gets ready for entrepreneurs and their workers and Healthfirst Total, an EPO for individuals. The brand launch video details why Healthfirst is the most reasonable medical coverage arrange accessible in New York. A place where you belong, a place that is everywhere. Airbnb has managed to captivate its audience by re-establishing the brand with new logo called Belo. The worldwide accommodations leader describes the logo is made deliberately simple so anyone could make it. The brand reveal video intrigues viewers as it describes the logo as combination of people, places, love and Airbnb. Workhive simplifies communication and joint effort over various groups inside and outside the association. It’s simplified, smooth and stacked with elements that helps your colleagues work efficiently. The brand reveal video portrays Workhive as the most straightforward approach to speak with colleagues. With the above brand launch & reveal video examples, it’s evident that companies are fast integrating videos in their marketing campaigns and various other touchpoints. If you are planning to develop a video, a good start is to develop a brief of what can be the tone and style for your videos. We advise you to be different and unique while you create your messaging through the videos.